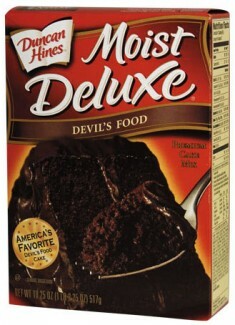 There is a 55¢/2 coupon for Duncan Hines cake mixes in today’s (3/28/2010) SmartSource insert. Duncan Hines cake mixes are on sale for 99¢, making them only 2 for 33¢. Lots of other coupons with deals worth making another trip for. I’m personally going to buy a few more newspapers at Dollar Tree. On Colley Ave,, I just bought Finish Quantamatic Starter Kit for $1.99 @ HT. Kit (12 pack) is on sale for $4.99. Tearpad in front of it was for $3.00 off a kit. Regular price= $7.58, I think. Refills are expensive! I won’t be buying those unless it’s a great deal, like this. Thanks for the site. Didn’t see where to contact you. So I posted here. Refills are expensive! I won\’t be buying those unless it\’s a great deal, like this. Thanks for the site. Didn\’t see where to contact you. So I posted here. On Colley Ave on Saturday, I bought Finish Quantamatic Starter Kit for $1.99 @ HT. Kit (12 pack) is on sale for $4.99. Tearpad in front of it was for $3.00 off a kit. Regular price= $7.58, I think.